A solid performer since its ground-breaking introduction, the Stedman Mega-Slam horizontal shaft impactor effectively handles large feed sizes - beyond the range of secondary HSI crushers. Expect More From Your Impactors! 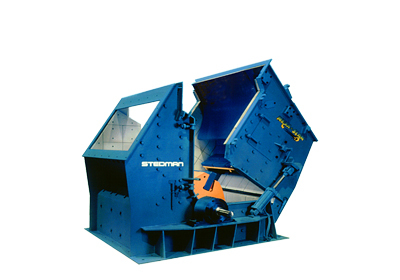 Learn More About Stedman Machine Impactors! Mega-sized processing requires more than guesswork. Stedman’s unique, full scale Testing and Toll Processing Facility takes the guesswork out of selecting particle size reduction technology and equipment. Contact Stedman to schedule your testing in our full-size HSI. To learn more about what to expect from testing, read this article that ran in POWDER BULK ENGINEERING magazine.